Chloe Silver Design: Weekly Update - Zoetropes! The Favourite Things book is complete! I have finally bound it, and am currently waiting for the glue to dry. In addition to that, the website is fully coded as well! I will be fixing minor things between now and, well, the end of time, but I am confident enough to let you inside to see its gooey caramel center. So go look if you like. Her - motion for monitor, some screens on board? This is another weird one. I've been going to a few interviews in the past month (tis the season) and I feel like the whole interview process is so played out. Interviewees go in knowing they're going to be asked specific questions like, what are your strengths and weaknesses, you know, the usual. These questions are so expected that they can easily be prepared for ahead of time. So here's my proposal. What if interviewees went into an interview and the interviewer decided to let them ask all the questions. You can really tell a lot about a person by the questions they ask you (or don't ask you). Of course, in a situation like mine, interviewees would have to show pieces of work, but all of the questions would be directed at the interviewer. It would make for an interesting challenge by forcing the interviewee to think of intelligent queries about their work, themselves, and the place of work for which they are interviewing. My parents are big fans of Coppola wines. I like the idea of a famous filmmaker, Francis Ford Coppola, branching out and deciding to try his hand at a new skill later in life. It really inspires me to know that it's never too late to try something new. On the other hand, while the wines are good, the labels leave something to be desired. There's nothing wrong with them, but I've seen some pretty interesting wine labels in my life. 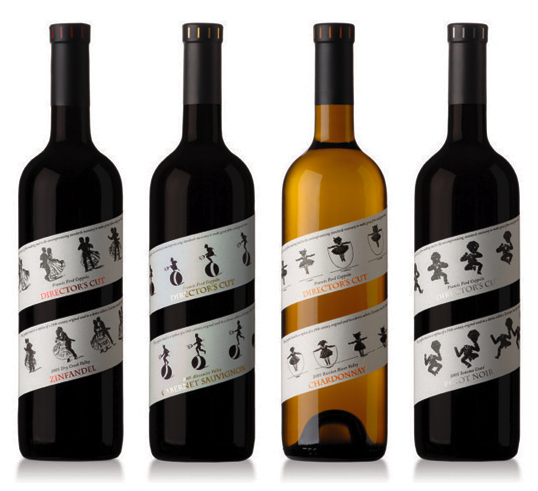 And then came along Coppola's new set of wines, Director's Cut. 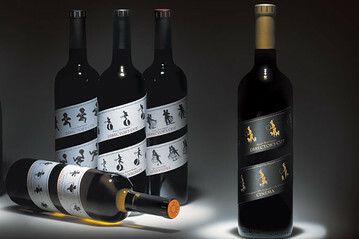 Here's an interesting take on a wine label, complete with a nod to his background as a filmmaker. Just look at these labels! In addition, every bottle of Director's Cut pays homage to the history of filmmaking with its wraparound label designed after a Zoetrope strip, one of the earliest moving picture devices. Each Director’s Cut label is a replica of a strip from Francis’s personal Zoetrope collection. These are wine bottles worth collecting on your mantle. And I would! If I had a mantle!